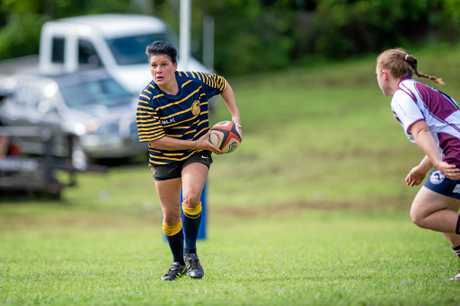 THE GYMPIE Hammers women's rugby 10s have narrowly lost out 12-22 to the Noosa Dolphins at Leprechaun Park on Saturday. 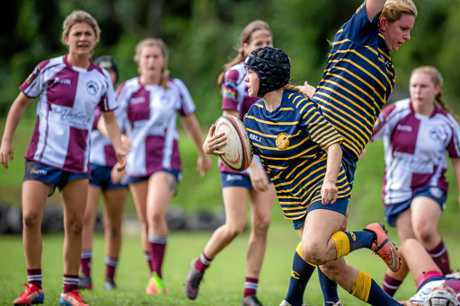 In a tight encounter, the Hampton and Harlow Hammers chased the game 12-16 in the dying minutes, with the ball in their possession there was a sudden turnover which allowed Noosa to run in a match-ending try. 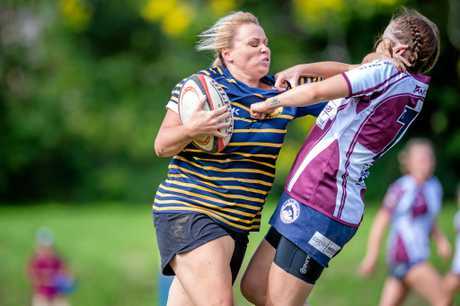 Gympie Hammers president Adam McKay said the women were on the attack when the game slipped away. "Ladies were on the attack. It was close until the final few minutes. "All they needed to do would be to score a try,” he said. "They were hot on the attack but it ended up at the other end. Glenn Gamble who has been assisting with coaching the women's rugby 10s said the team is a work in progress. "Obviously it was the first game, they are a work in progress. As a first up effort they played Noosa. "Noosa was undefeated last year,” he said. The Hammers led 7-0 in the first quarter, with the game played in 10 minute quarters. It was then tired a 7-7 at half-time. "It was a Bit of a lack of game knowledge. "The girls were never out of the game. They were right in it with a minute to go. They were pressing hard on the line. 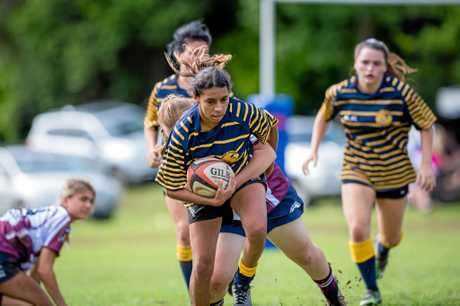 With women's rugby ranked as one of the fastest growing sports around the world, the Gympie team features a good mix of young and experienced women. "The girls are only going to get better,” Gamble said. "There's a mixture of Gympie, Maryborough and Hervey Bay girls. "Bec Briggs is a wonderful captain, she's passionate and knows the game well. "We wanted to play a faster tempo and make them (Noosa) run but there were a few things which slowed it down. Hampton and Harlow Hammers captain Bec Briggs said the team knew it was going to be a tough game. "We knew it was going to be a hard game playing Noosa straight up. They were undefeated last season. "We played extremely well and all the girls put in a massive effort. Briggs said she thinks Noosa will be scared from now on. "I think we will have scared them for the next time we face off. "All the girls defence was strong and we had each others backs every time we ran the ball up. "I think the more games we play together the stronger we become. Briggs said the support from the fans has been amazing, with the women's Facebook page having built over 270 followers in 24 hours. "We would like to thank our supporters who came down and cheered us. 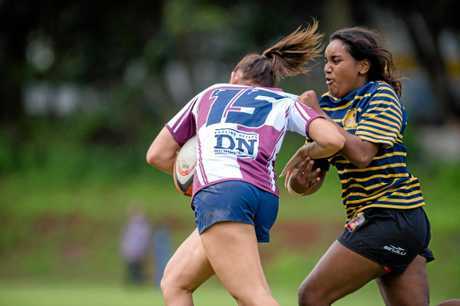 Men's senior coach James Macpherson said he can see a bright future for women's rugby and Gympie in general. 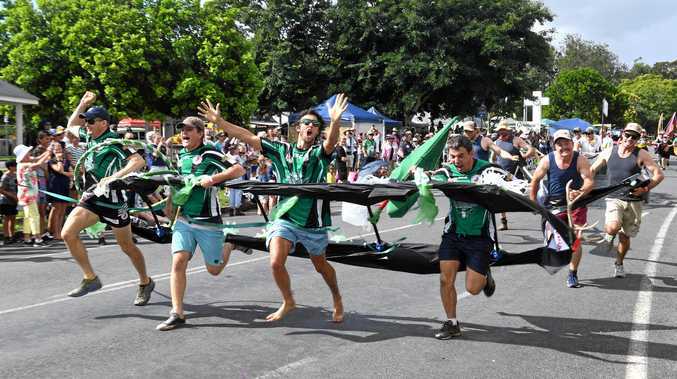 "Considering our Gympie side is very young, our future is looking really good. "Krystle (Johnstone) wasn't available, she would have made a massive difference in the middle. "It was such a positive weekend. "I had people commenting about how the first time ever, they had to park on the street. The Hammers have a bye this weekend, but will look to return to winning ways when they host Caloundra for round three on April 8.